After a day of wearing Reebok Women's Black RB455 Tiahawk Waterproof EH Composite Toe Hiking Boots you’ll be asking yourself, “why can’t all my footwear be made like these Reeboks?" If there were a category in your high school year book for “best all-around ... (see full details) (see specifications) #RBKRB455. After a day of wearing Reebok Women's Black RB455 Tiahawk Waterproof EH Composite Toe Hiking Boots you’ll be asking yourself, “why can’t all my footwear be made like these Reeboks?" If there were a category in your high school year book for “best all-around boots,” these black hiker boots would take the top prize. They’re comfortable, durable, waterproof, protective and good-looking. Even if you’re not a hiker, you can reap the benefits of these multi-purpose Reebok boots. They’re the perfect choice if you need safety toe boots for your 9-to-5 job, or for getting work done around your house on the weekends. Made of water-resisting leather uppers, these hiking boots feature a Composite Toe that meets the ASTM F2413-05 standard for protective footwear. That means your toes will be protected against impact and compression. Made from 100% non-metallic materials, these Reebok safety boots are lightweight and you won’t have any problem getting through airport security or other metal-detecting devices. If these aren’t enough safety features, we have one more to add-- they’re rated for electrical hazard resistance to absorb dangerous electricity to keep you safer. In addition to being protective, these women's Reebok boots were made to be kind to your feet. They won’t pinch, scratch, or rub you the wrong way. From the lining, to the insole, midsole and outsole, they’re made to cradle and support your feet. The removable EVA cushion inserts will support your feet all day in a layer of softness, while sponge rubber wedges will absorb some of the impact of walking on hard surfaces. There’s even an EVA midsole in these composite toe boots to provide an additional layer of cushioning. You’ve heard of air bags for your car, well, how about air bags for your safety toe boots? The heel airbags are made to cushion your heels while you’re on the move. These waterproof boots are made to keep your feet as dry as possible. Inside, the Tailex and Converse StarGuard waterproof membrane works together to wick moisture away from your feet, while preventing outside moisture from getting in. The rubber outsoles on these Reebok boots are oil-, heat-, abrasion- and chemical-resistant. In addition, they’re slip-resistant and have rubber outdoor traction bottoms and external shank stabilizers to deliver improved control and stability. The outdoor traction bottoms even provide improved traction on grass-covered outdoor surfaces. That means less slipping and less grass stains on your bum. In the category of best all-around hiking boots, we nominate Reebok Black RB455 Tiahawk Waterproof EH Composite Toe Women's Boots. Try them, we think you’ll agree. If you liked the Converse C455, you will love the Reebok RB455 boots. These are comfortable shoes, the padding in the heel really helps out bad knees when walking all day on concrete. And they bend easy when I walk. I ordered a 10W because reebok usally runs small, so they are a bit to big. I would recomend these. These shoes are so uncomfortable, but nice looking shoes. I'm a mail carrier so I needed some boots that are comfortable because I do a lot of walking. These shoes are mot for me. If you do a lot walking these boots are not the one for you. 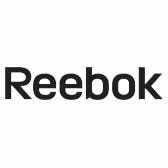 Reebok Boots: Women's RB455 Tiahawk Waterproof EH Composite Toe Boots is being added to your cart.